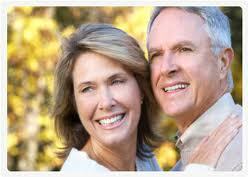 Save around 70% on the cost of your dental implants. See how much you can save, and book your appointment online with us. Get back your natural smile. New quality of life with crowns and bridges on dental implants. Dental implants are changing the way of living. They are designed to provide a funding to replace teeth, which look, feel and function as if they were your natural teeth. People who has lost teeth take back the ability of eating almost everything, knowing that the implants will appear natural and that the face contours will be preserved. After placing the implants, we should wait from 3 to 6 months for integration (bone fusion), once they heal we place a crown, a bridge or a denture over the implant. In a complete edentulous maxilla we may need at least 6 to 8 implants to replace all the teeth, in the mandible (lower jaw) we may need from 4 to 6. 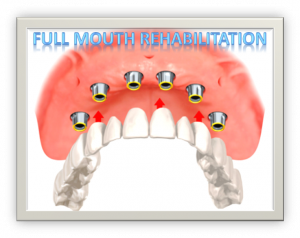 We also may offer you the option of an overdenture (prosthesis) supported over two implants which helps for retention. Patients with implants can naturally smile with confidence once the rehabilitation has been finished. 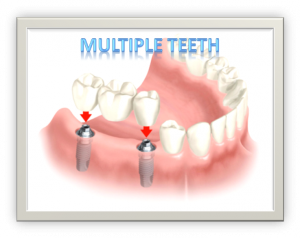 Why have Dental Implants in Nicaragua? Dental implants are a specialist procedure, but we are well-qualified dental specialists who have the training, expertise and qualifications to carry out the treatment. Cross-border training and the fact that our dental clinics who treat international patients has incredibly high standards means patients can rely on standards to be just as good as they would expect at home. Dr. Allan Porras specializes in the field of Oral/Maxillofacial Surgery and Implant dentistry and Dr. Erasmo Morice specializes in the field of Prosthodontics/Oral Rehabilitation. They will take care of your needs by doing a proper diagnosis and treatment plan. 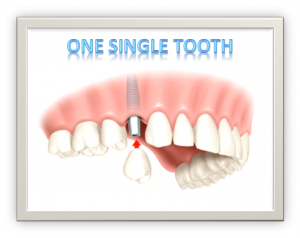 If you plan to come for implant procedures, you might be required to come for at least 7 to 10 days for the surgical procedure, and 10 to 15 days for the restorative process.